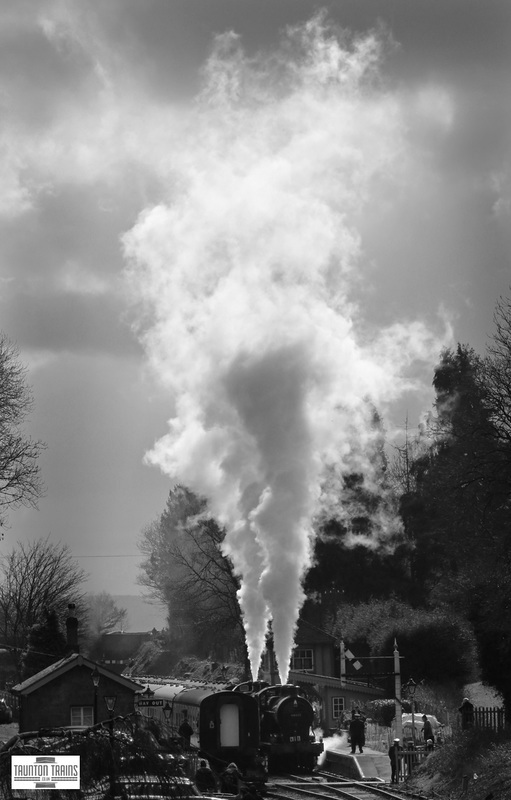 ​The first weekend of the West Somerset Railway 2016 Spring Steam Gala took place on the 5th and 6th March coinciding with the 50th anniversary of the closure of the Somerset and Dorset route. The S&D theme for the gala rejuvenated the memories of the line by using locomotive types which once operated over the route. 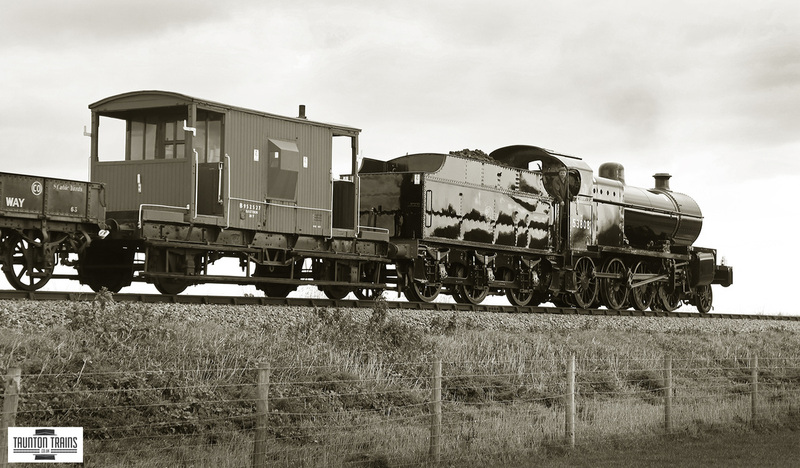 No less than six visiting locomotives were bought in to boost the variety of traction on offer. 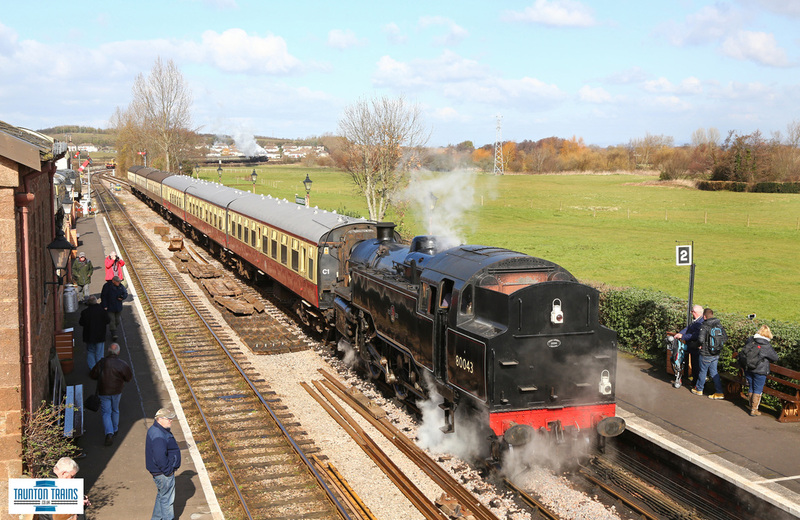 The lineup will featured the return of the Somerset and Dorset 7F No.53808 fresh from overhaul which will joined with sister locomotive No.53809. 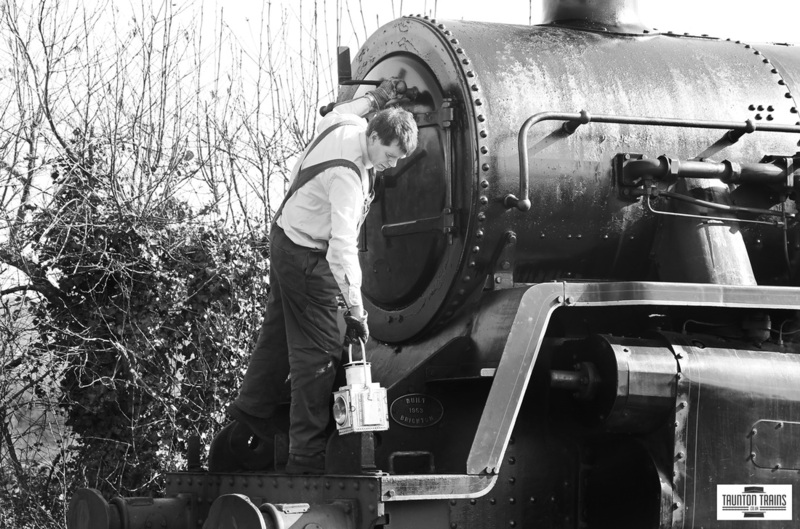 Also visiting the line will be BR Standard 4MT Tank No. 80072 (which operated as 80043), SR West Country No. 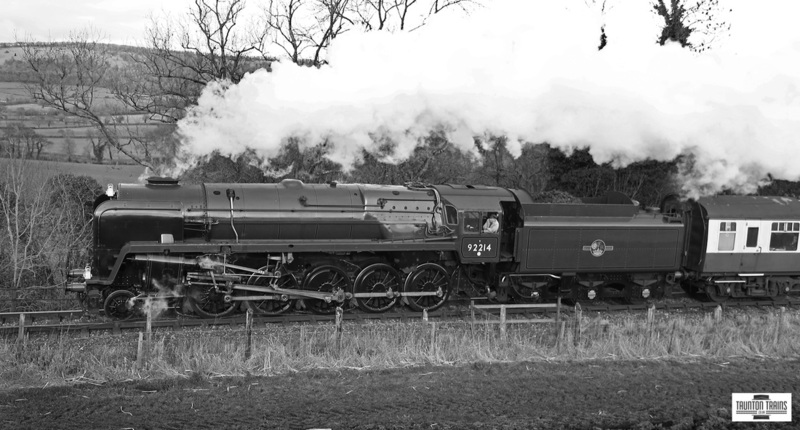 34070 'Manston', SR Rebuilt West Country No. 34053 'Sir Keith Park' & British Railways 9F No. 92214 and LMS 4F No.44422 (which is now part of the WSR home fleet). The first two days of the event also featured a much improved timetable which allowed for a more interesting operating pattern. The use of terminating trains, through trains and goods trains in the middle of the day offered some much missed operational diversity. The special working of Class 35 Hymek on Sunday 6th March operating a demolition train was also well received and thought through. The S&D memories continue next week starting on Wednesday 9th March through to Sunday 12th March. 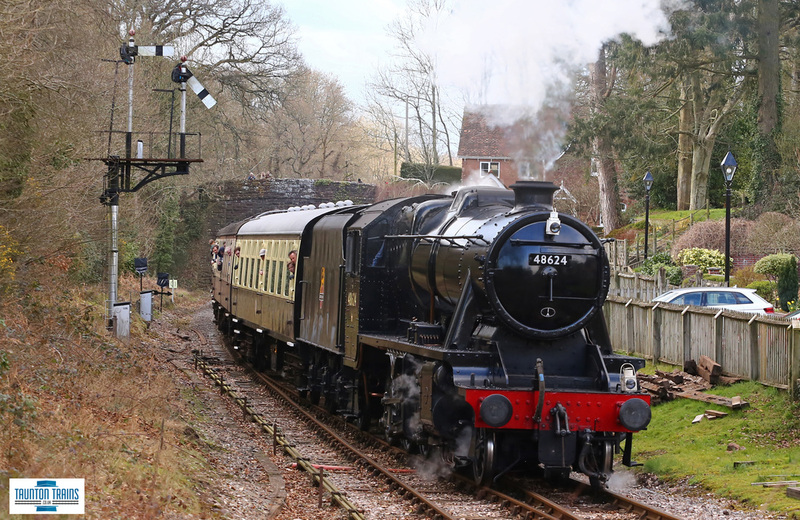 5th March 2016, LMS 4F No.44422 and BR 7F No.53808 prepare to depart from Crowcombe with the 10:30 to Norton Fitzwarren to Minehead. 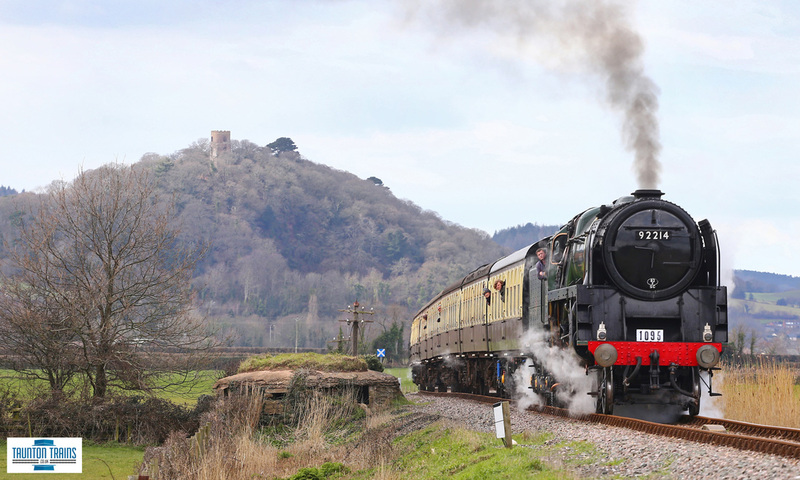 BR Standard 4MT No.80072(80043) arrives at Williton with the 10:45 from Minehead. Here the locomotive would detach and return to Minehead. 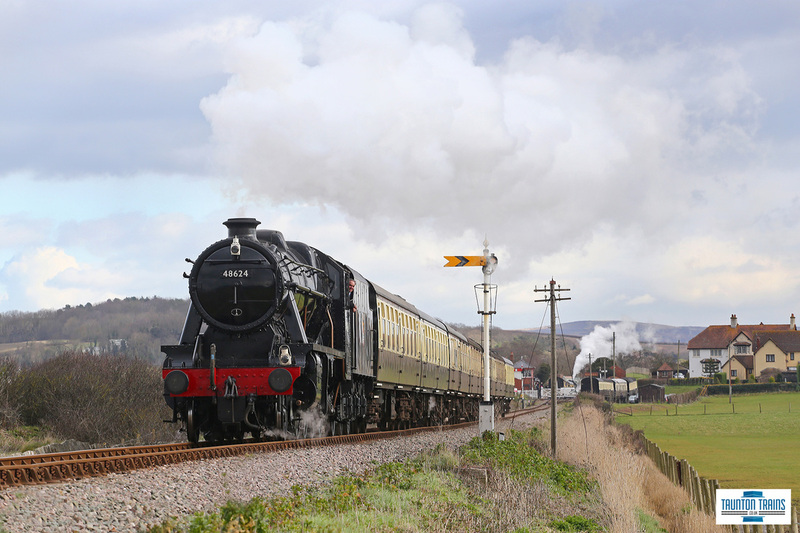 Lamps are re-postioned on the lead end of the return Williton to Minehead service. 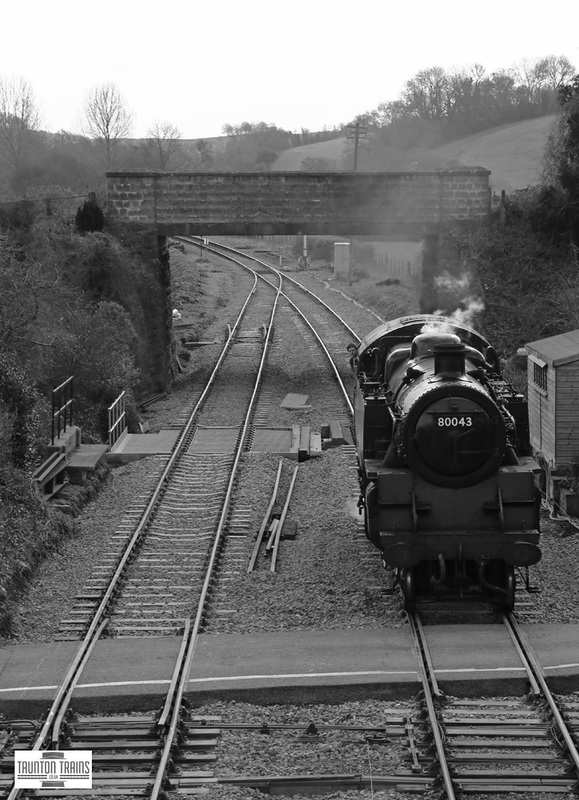 BR Standard 4MT No.80072(80043) runs light engine through Williton Station having used the newly realigned junction to the east end of the station. 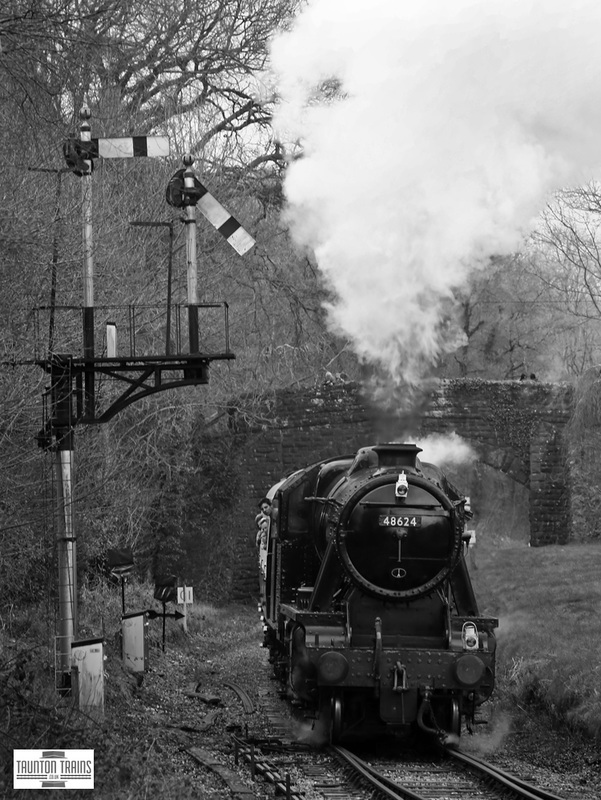 5th March 2016, Ian Riley's LMS 8F No.48624 powers away from its Blue Anchor stop hauling the 12:05 from Norton Fitzwarren to Minehead. 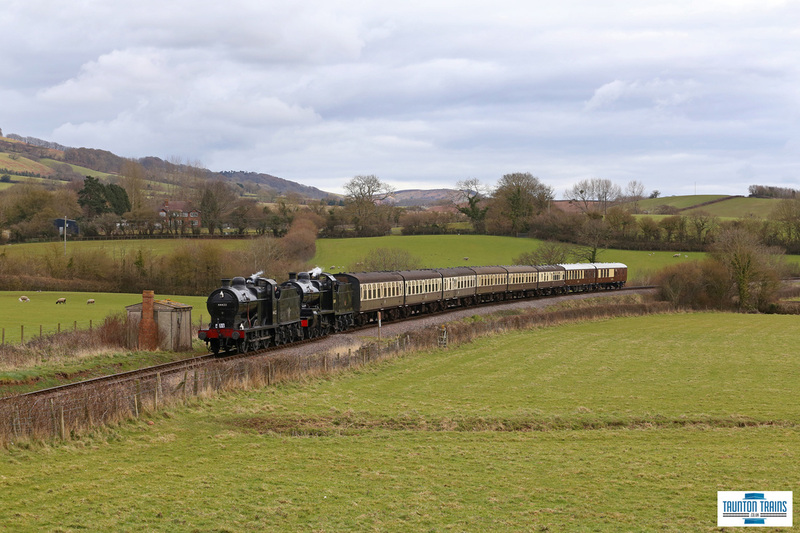 5th March 2016, BR 7F No.53809 and Westcountry No.34053 'Sir Keith Park' cross Woolsten Moor with the 14:35 Norton Fitzwarren to Minehead service. 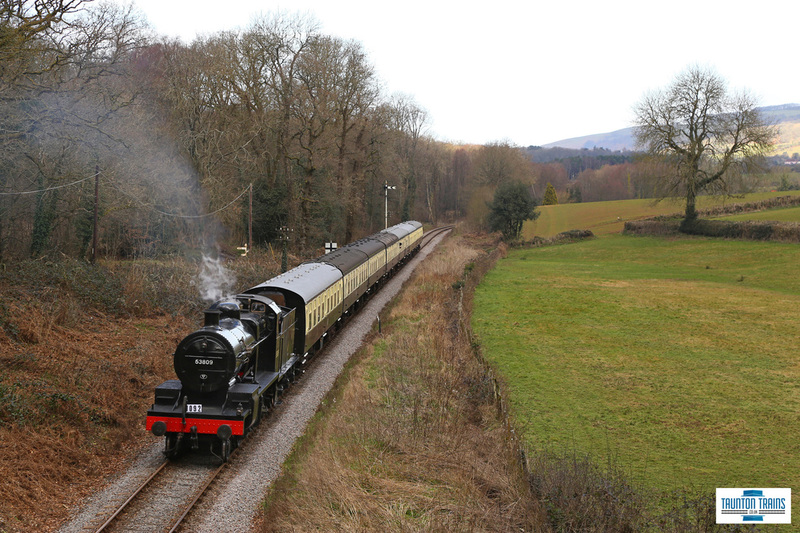 5th March 2016, LMS 8F No.48624 arrives into Crowcombe hauling the 14:50 from Minehead through to Norton Fitzwarren. 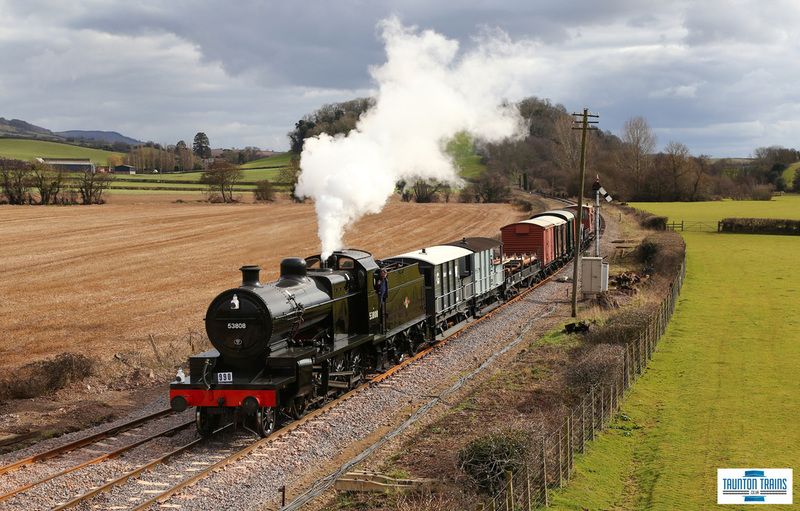 5th March 2016, BR 9F No.92214 storms through Nornvis Bridge hauling the 15:50 from Norton Fitzwarren to Minehead. 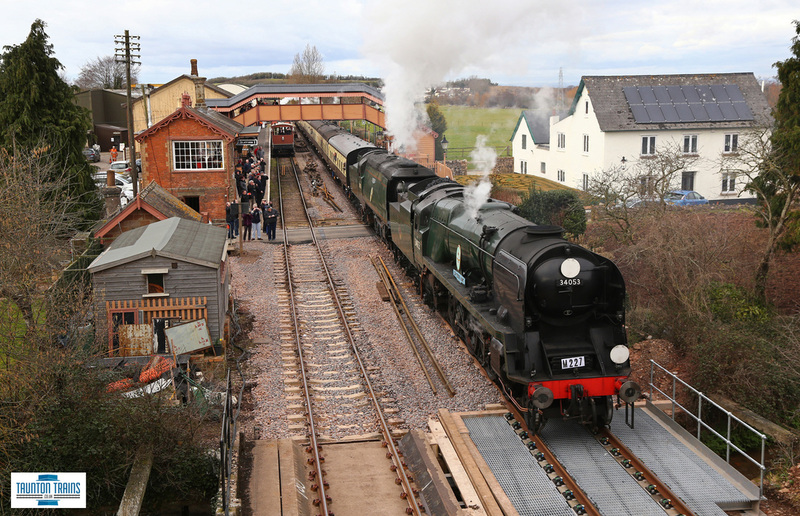 6th March 2016, Southern Reigon rebuilt and unrebuilt Westcountries depart from Williton with the 13:25 Minehead to Norton Fitzwarren passing through Williton Station non stop, while working over the newly aligned track work to the east end of the station. 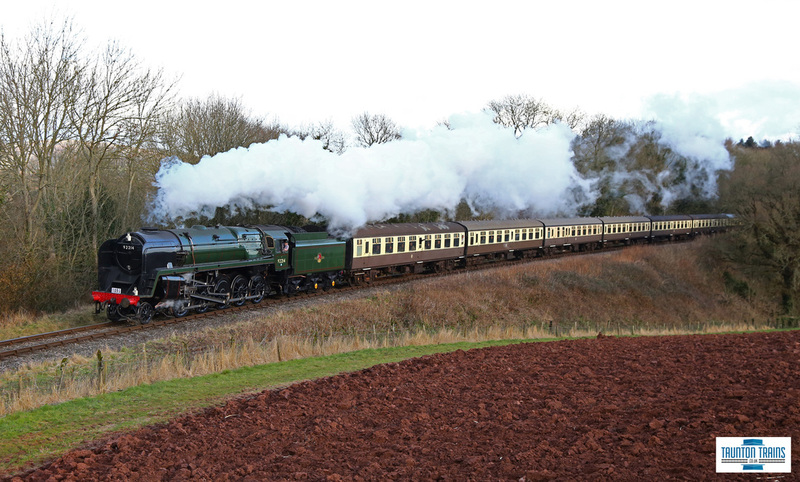 6th March, BR 7F No.53808 shines at it arrives into Williton on the 8th March with a 'Mixed Goods' from Norton Fitzwarren to Minehead. 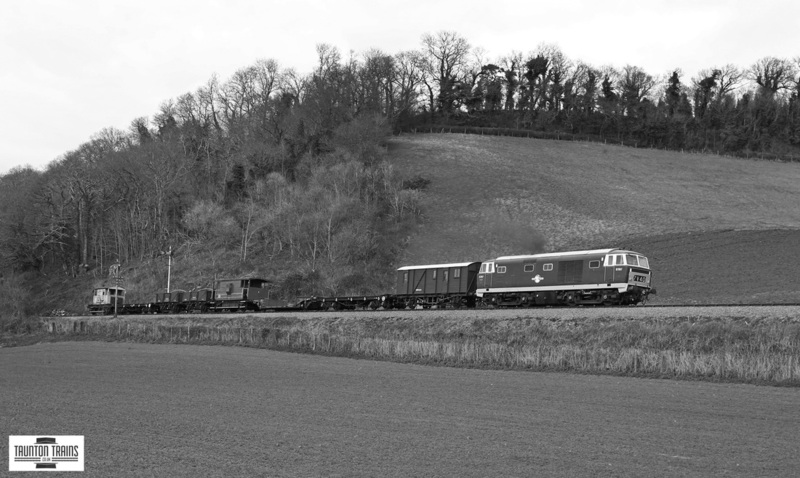 6th March 2016, BR Hymek No.D7017 passes Castle Hill near Williton working the 14:00 Minehead - Norton Fitzwarren. 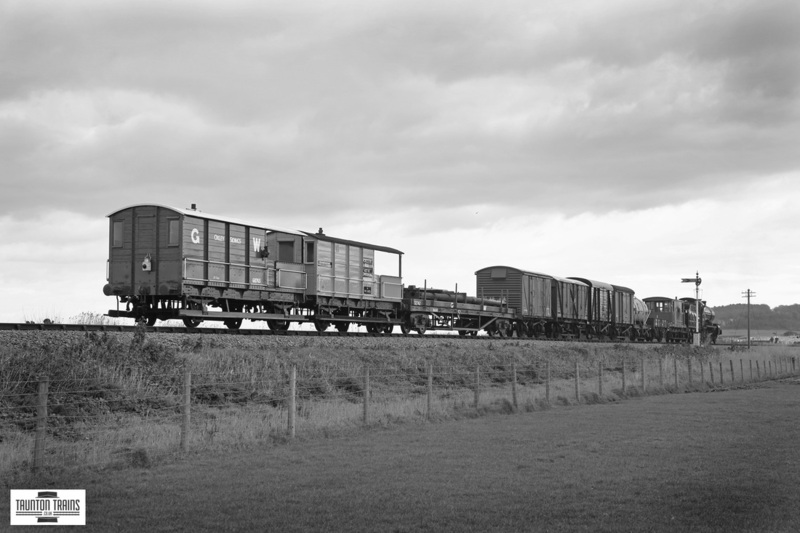 This 'demolition train' operated to represent such services which lifted the track on the S&D route after closure. 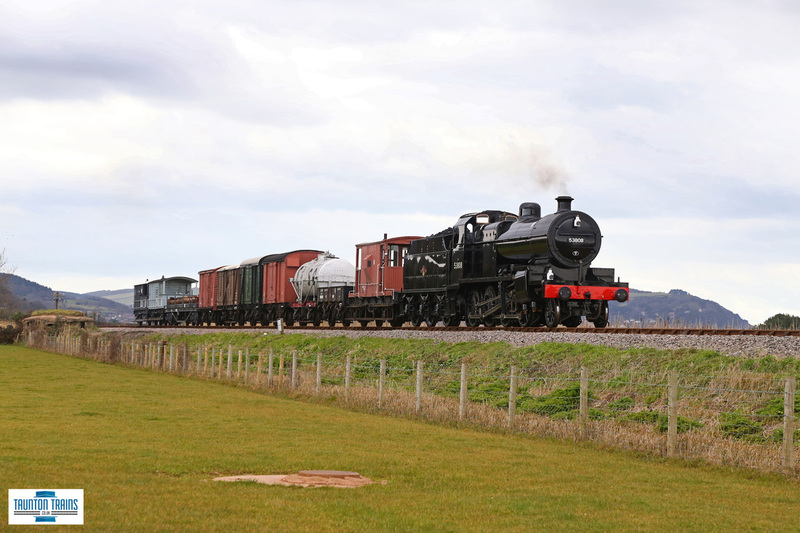 LMS 4F No.44422 and BR 7F No.53809 roll along Woolsten Moor with the 14:35 Norton Fitzwarren to Minehead service.